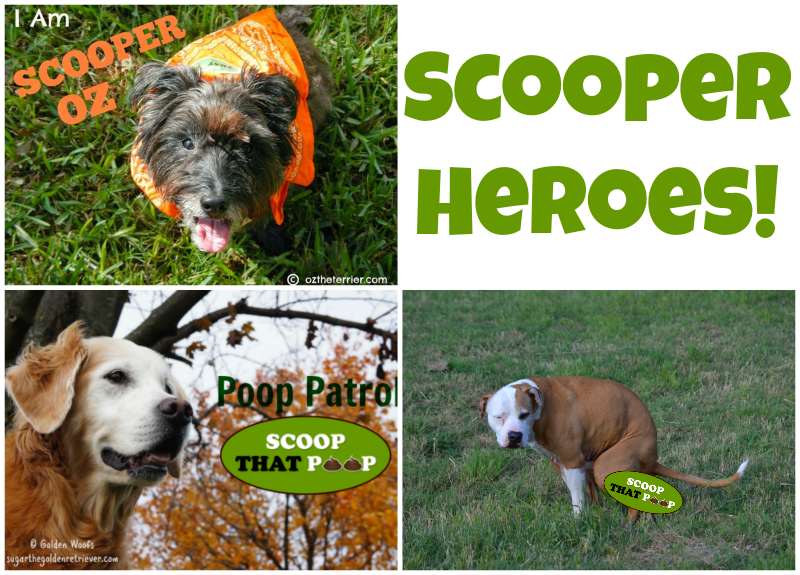 Once a month, we join our friends Sugar the Golden Retriever and Oz the Terrier in the #ScoopThatPoop campaign and blog hop. We want to raise awareness that scooping your dog's poop is an important and necessary job. Don't just leave it laying on the ground for others to step in! Oz, Sugar, and Shiner - Scooper Heroes! If you don't feel like carrying your dog's stinky poop around during your walks, don't worry there is help for you. The Fifth Paw is "an extra paw to help hold the doody" while you are out on walks with your dog. The Fifth Paw is a small contraption that conveniently attaches to your leash. When your dog does their business, you just pick it up in a poop bag and attach the bag to your Fifth Paw. And voila! You are officially hands free. We got our Fifth Paw in our April PetBox. The Fifth Paw can hold more than one dog poop bag too for those who have multiple dogs. It has definitely come in handy for our evening walks with Shiner. If you aren't convinced that you need to pick up after your dog by now, here are some parasites and diseases that your pet can get from dog poop. 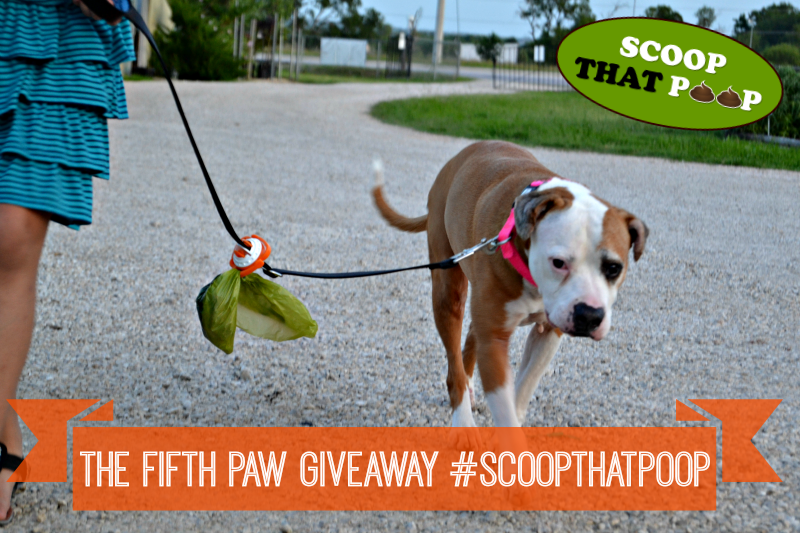 This month for our #ScoopThatPoop campaign, we have The Fifth Paw to give away to one person. Just use the Rafflecopter to enter the giveaway. This giveaway is open to US readers only ages 18+. 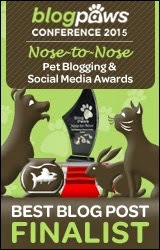 Any bloggers who would like to join our #ScoopThatPoop Blog Hop are welcome to! The blog hop will be open for a few days so feel free to share your #ScoopThatPoop stories. We'd love to know what pet products you use to help with your doody duty. Share them with us in the comments! Yes, definitely better than putting it in your purse! We love our Fifth Paw, Miss Ann. Ma says she needs one for every leash I own now (which is about 2-3 too many leashes)...BOL. So glad to be a fellow Scooper Hero with my good friend Shiner! We are glad to be a Scooper Hero with you! I am always losing Shiner's leashes... I tried to put it on our retractable leash but I couldn't seem to get it to fit. Oh, I have GOT to get me one of those fifth paw things! It would definitely come in handy! I just tie the bags to their leashes. But it doesn't work all that great, as it usually falls off at some point. Doesn't the world know, we dog owners need a garbage can every 5 feet along our walks? BOL! Great idea as nothing worse than carrying filled bags and trying to find a bin. Have a marvellous Monday. I really have to pick up one of these. It can be pretty inconvenient to carry a bag while trying to manage two leashes and trash bins are often hard to find. This is especially annoying when they decide to do their business right at the beginning of the walk! I joined the giveaway because I walk my two pups daily. And I need to scoop poop while doing so! Talk about frustrating, this is now the 4th time I’ve typed my comment. It has been closing on me half way through. I am really starting to dislike this iPad Air thingy. Anyways, I was trying to say that this is a good idea, but I had no idea you had to be over 18 to scoop the poop. That could explain lots in our neighborhood. Well Miss Dolly it's open for a few days so you can still join. Great post Ann! Love seeing pics of Shiner! Yes! It was hard to move down on the ThunderLeash because it has a metal piece right there, but I got it. I would like to enter the giveaway. I hate it when other people leave their dogs poop out for other dogs to get into or roll in it... or have their human step in it. Ick! I always pick mine up because of that and out of common courtesy. Mom is used to hanging onto the bags, but it would be much easier if she had more hand space for the three of us and our leashes. I'd like to enter this giveaway. It's important to me to pick up after my dogs because that's part of being a responsible pet owner. It helps prevent the spread of diseases. Even if my dogs are healthy, other dogs might now be. If i set a good example, hopefully others will pick up after their dogs as well. I would love to win one of these! I hate carrying poop bags!! I like to be responsible and pick up after my pet to keep my community healthy. I would love to join in on the giveaway. To keep it sanitary and clean would be my reason! Love my fifth paw. great pictures. 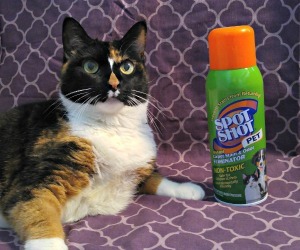 Oh I'm behind too as usual... if you do use Shiner as a model, let me do a photo shoot first. Which I plan to do anyways. I will get some nicer pictures. This would be so handy to have. Then I wouldn't have to carry the icky bag myself! LOL. There are SO many products out there to help people clean up, carry and dispose of their dogs poop. No more excuses, please!!! I want to join cuz im passionate about poop scooping bad being sanitary. Gotta scoop that poop for the health & safety of dogs & humans alike. Oooh, we might have to join in on this one. Our yard seems to have been marked the neighborhood pooping grounds and few seem to feel the need to pick up after their pets! It is very frustrating especially when we pick up every time. Much love, The Scottie Mom. That is awful! You should go and download Oz's poop scooping signs. Looks like you put the fifth paw to good use. Hey, I'm all for anything that encourages people to pick up after their dogs. I get so aggravated when I have to navigate through poop when I'm on a walk with the Boys. Thanks for the post, I will share and hopefully help spread the word. If I do it, maybe others will too! I want to win because I like the ease of use of this poop pick up system. And my dogs poop only when I walk them! I want to enter because it would make scooping much for convenient and sanitary. Got both comments! Sorry if it was giving you troubles. Good luck! 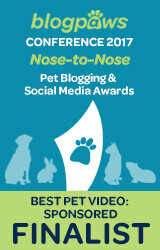 I want to win this, especially since my dogs do a lot of pooping when we walk. I want to win! This is better than old shopping bags. Great idea!! I hope I win. 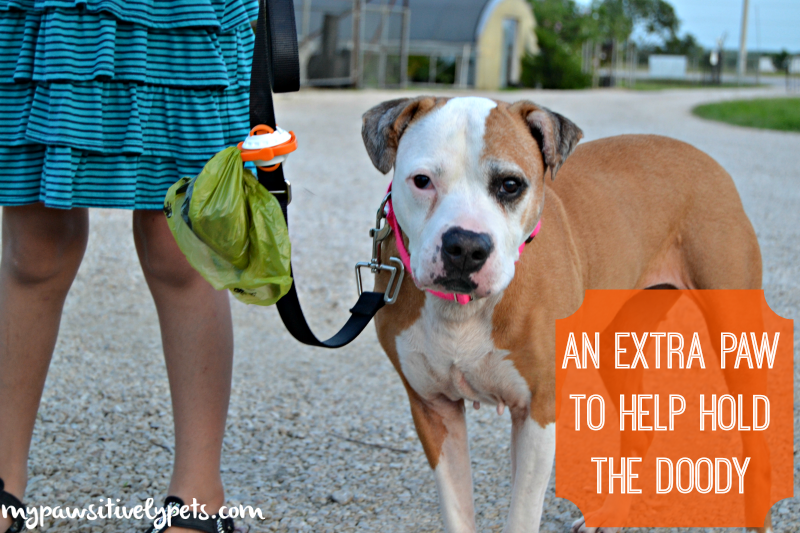 Between two perma-dogs and many foster dogs, there's always poop to pick up! My favorite poop bags (I always feel weird saying that, haha) are the Earth Rated brand! My rottie likes to poop near other dogs' yards so I need this to avoid the wrath of my neighbors! I want to win because this makes a nasty job so much easier! This is great! I like that it helps keep your hands free on a walk :) I'd like to join the giveaway please! You need to scoop your dog's poop because it's the right thing to do. And no one wants to see or step in it on a walk! I guess we can comment daily? I'd like to win because this would also make a nice little gift for a foster dog mommy that I know! Not sure Carolsue, Sugar Golden Woofs is in charge of the Rafflecopter this time around. But if it says you can, then I guess you can!